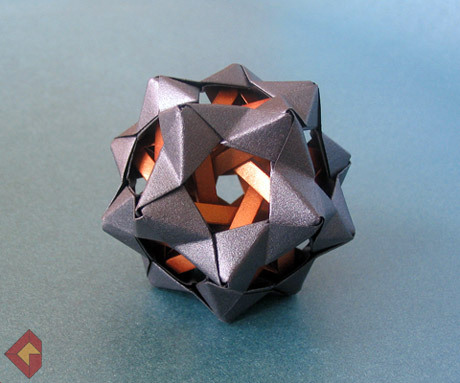 I tucked FIT (Five Intersecting Tetrahedra) inside dodecahedron made from zig-zag units. It was very difficult to assemble the modules because the model is miniature. It is about 5cm high.